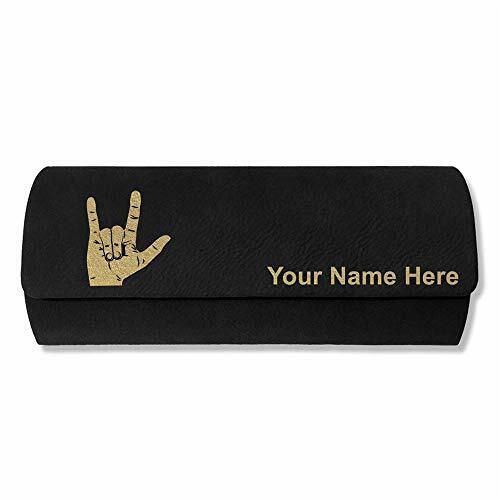 Protect your sunglasses or eyeglasses with our faux leather eyeglass case that is laser engraved with the image that you see in the photo. Your own personalized text will be laser engraved onto the case for free. Click the "Customize Now" button to begin customizing your order. The sunglass case is laser engraved with the image that you see in the photo. Your name or personalized message will be laser engraved onto the case for free. Hard case with a synthetic leather exterior. You may have one line of engraved text - 25 characters maximum.